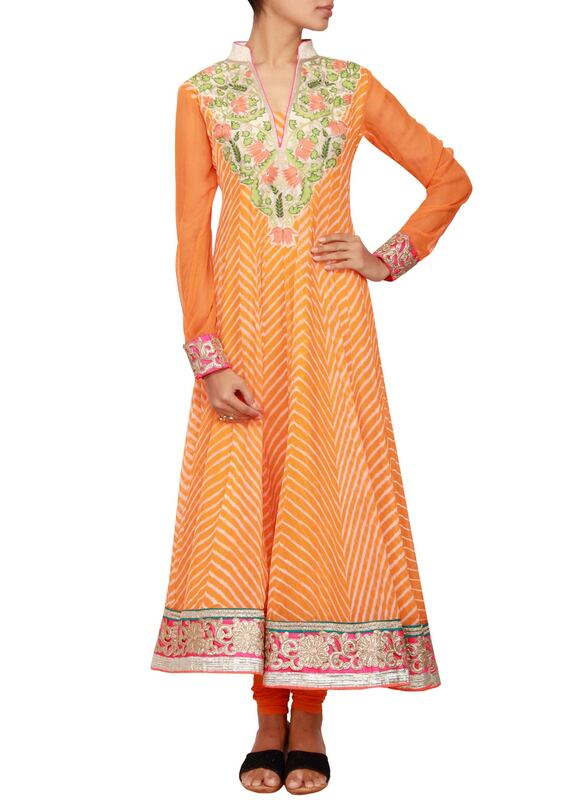 Featuring an orange anarkali in leheriya print. Bodice embellished in patch embroidery. Border is in fuschia raw silk enhanced in cut work zari lace. Neckline has a chinese collar attached in cream raw silk. Full orange georgette sleeves with embellished cuffs. 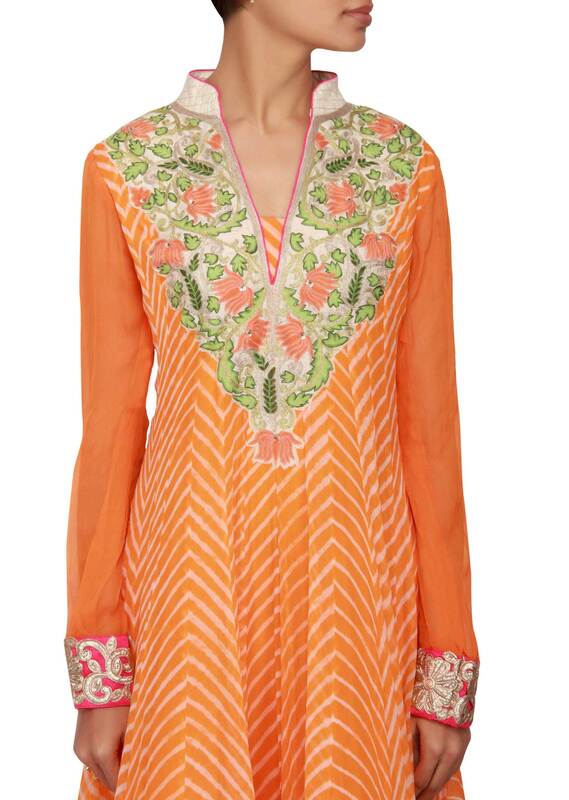 It comes with an orange lycra churidaar. Dupatta is in orange net with green border.